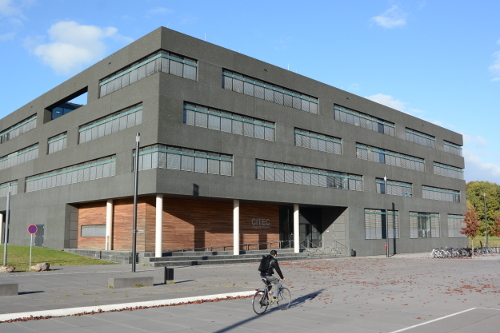 Bielefeld University and its Cluster CITEC have joined the InterACT network. The partners in this network are dedicated to researching and developing technologies that will enhance global communication and cooperation. A total of nine universities and institutes from Asia, Australia, Europe, and North America belong to this network. In addition to Bielefeld University, new members of the network also include Stanford University (USA) and the Queensland University of Technology (Australia). The network is being coordinated by the Karlsruhe Institute of Technology (KIT). The research network was founded in 2004, and originally began as a cooperation between the Karlsruhe Institute of Technology (KIT) and Carnegie Mellon University (USA). Today, it connects researchers from around the globe who initiate joint research projects and come together to meet at network conferences. In order to promote discourse in research, InterACT also offers exchange programs for young researchers, which provides them with access to specialized laboratories where they can work on their respective research projects. Master’s degree students and doctoral researchers from Bielefeld University’s Faculty of Technology will soon be able to apply for grants for guest research visits at InterACT partner institutions. The CITEC Office will provide more information on applying to these opportunities in the coming weeks. The name “InterACT” stands for “Center for Advanced Communication Technologies.” In this network, partner institutions work together on technologies to optimize human interaction with machines and facilitate understanding among people. The Center’s research ranges from artificial vision and language production to the Internet of Things and Smart Rooms that make everyday living easier for their residents. Bielefeld University is working together as part of this Center with the following institutions: Carnegie Mellon University (USA), the Karlsruhe Institute of Technology (Germany), the Italian Institute of Technology (IIT, Italy), Waseda University (Japan), the University of Southern California (USA), the Nara Institute of Science and Technology (NAIST, Japan), Stanford University (USA) und the Queensland University of Technology (Australia).